Dental Sealants in Brampton. Contact us today for an appointment! 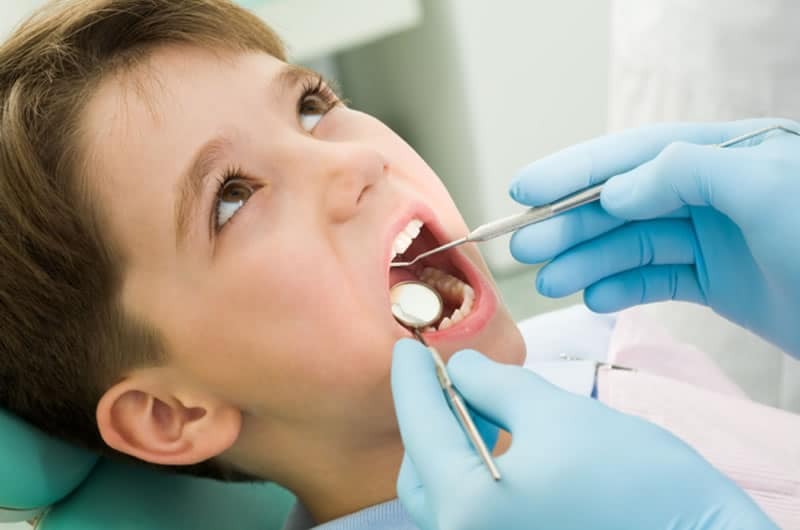 Keeping your child’s teeth healthy and cavity-free with dental sealants. Great oral hygiene practices are essential to a healthier smile. Parents are encouraged to teach their child to commit to regular brushing twice a day and flossing once a day. However, even with the best oral hygiene routines, some areas in our mouths are harder to reach with a toothbrush, especially the pits and grooves (also known as fissures) in our back molar teeth. Over time, if bacteria and food residues get stuck in those harder to reach fissures, you face a higher risk of tooth decay in the future. Dental Sealants are a highly effective dental procedure to help prevent the risk of tooth decay in newly erupted teeth. A sealant is a thin, tooth-colored coating that is painted onto the chewing surface of your child’s permanent molars, sealing all pits and fissures to help protect the teeth from future decay. This simple and quick procedure radically improves the health of your child’s teeth, since it protects them before they are subjected to any dental problems or diseases.